Did you know that Jermaine Jackson (yep, Michael Jackson's brother) had a stint as a Country music artist? He appeared in Nashville for the ‘Gone Country’ reality TV series singing Country songs as part of a music competition. Here you'll find our pictures and highlights of his performances at the Wildhorse Saloon, where the show was taped. 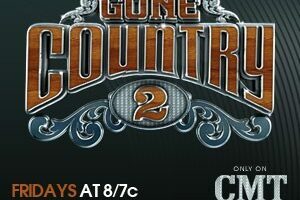 Jermaine Jackson performed at the Wildhorse Saloon in Nashville during the final taping for Season 2 of Gone Country. His song was a mellow one. It was called ‘Loving You Is The Natural Thing To Do’. He co-wrote it with Nashville songwriters Billy Lawson and Anthony Smith.